We are committed to providing our customers with a fantastic experience. Your feedback helps us make that possible. 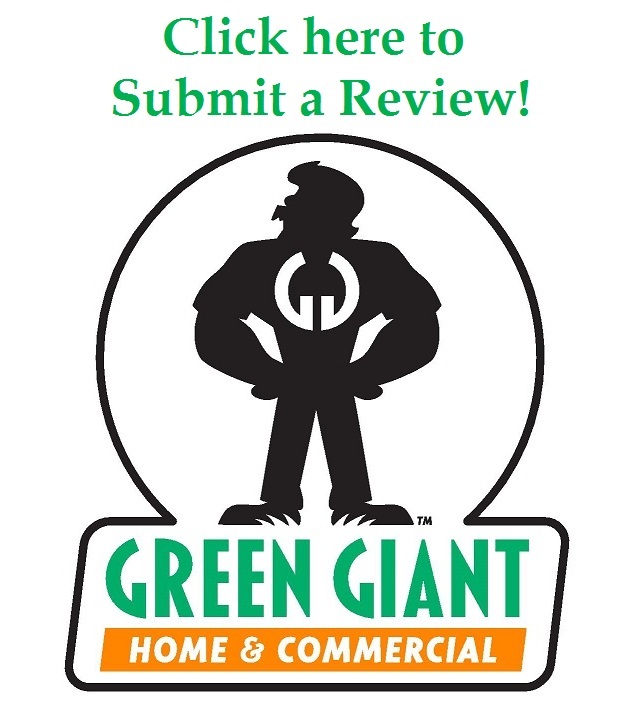 Positive reviews from awesome customers like you help others feel confident about choosing Green Giant Home & Commercial. And even if you were anything less than satisfied or have an idea of what we could have done better, we would like to hear about it. Your input enables us to continue providing the best possible experience for you, and helps others understand how Green Giant can make life easier. We are constantly striving to provide 5 Star service to our 5 Star customers like yourself. If you could take a moment to click on the (trusty Hans aka the Green Giant man) logo below and share your feedback, we would be forever grateful. Thank you in advance!